Anyone in your family or any friends big sports fans? 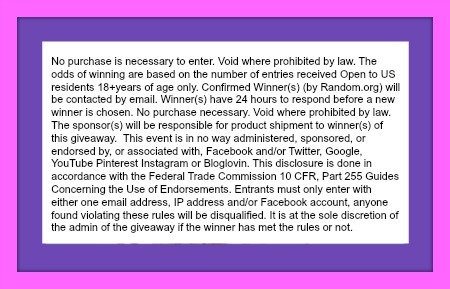 This is the perfect giveaway for them. 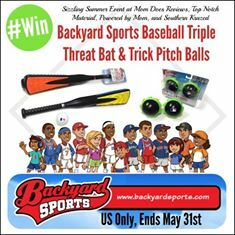 Enter to win a fun Triple Threat Bat & Trick Pitch Balls. and the Sizzling Summer Bloggers! Triple Threat Bat: Be a TRIPLE THREAT!! The only three-sided bat that allows players to hit three different ways. This unique three-sided bat design has energy rings for towering home runs, power ridges for hard line drives and force-absorbing foam for surprise bunts! Unlock the bat digitally to take your digital batting experience to triple the level! Read Mom Does Reviews’ Backyard Sports review HERE for more information on their backyard sports baseball and basketball products that are perfect for your child’s summer vacation! 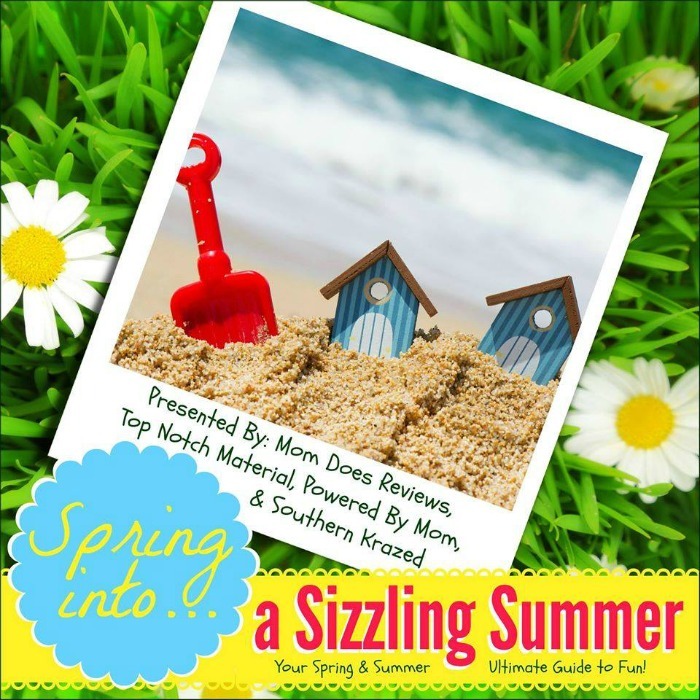 Backyard Sports is featured on the Sizzling Summer Event at Mom Does Reviews, Top Notch Material, Powered by Mom, and Southern Krazed. Visit the event page HERE for more ideas to make your summer sizzle! the kids enjoy camping and fishing… playing catch too! My grand kids like playing anything outside that has a ball. I would say their favorite is baseball. My three kids love to play soccer in our backyard. My son loves to play baseball and going swimming. My kids favorite backyard sport would have to be kick ball. Their favorite backyard sports are Frisbee and baseball. Our window’s favorite is Frisbee because I have replaced three windows with a baseball, and that is not covered by insurance. We like to play badmitton. My 2 granddaughters, ages 2 n 5yrs old, love to run around and play tag. They also love hide and go seek. They love swimming, backyard campfires. They love the outdoors. And I love spending all the time I can with them. We like to set up the little badminton set! Horseshoes and darts and swimming. My kids like a lot of backyard sports. Hard to choose which one. I’d say they really like Soccer….throwing the frisbee around, and volleyball. My kids love playing soccer and frisbee. They love playing foot ball! We love to throw the football mostly. the kids favorite back yard fun is digging holes and burying each other, then they cover it up and play with the cars and trucks on it, then they make castles and stuff, who needs the beach,lol. We used to enjoy Badminton! We usually have a game of hockey or soccer. They love to play soccer in the backyard. We have a tether ball set up in our back yard and the grand daughters have a ball on it, was a good investment. My son’s favorite backyard sport is catch. My kids favorite backyard sport is soccer and they love to play relay races as well! They like to play soccer. We like to play water balloon tag in the summer with our grand kids! My kids love to play tag, anything with a ball and hide and seek. My boys love to play soccer. My grandchildren love playing basketball in the backyard. My kids love to play soccer,volleyball,baseball and make up races and different games,everyday is different but there is always something going on in the back yard. If the guys plays, tossing the football around. But when time for boys/girls to play baseball. They like baseball and soccer! Our favorite is wiffle ball. We get all the neighborhood kids together and have pretty good games! My son’s fave sport is parkour but washers is a close second. She likes playing tag and kicking and throwing the ball.